The Raj Arthritis Program, based on the science of Maharishi Ayurveda, provides the most comprehensive and natural approach to arthritis available today, both in terms of identifying the causes and in providing treatment. Healthy, flexible joints rely on strong digestion and metabolism. Poor eating habits, weak digestion and stress can allow impurities to accumulate, and build up in the joints. This inhibits joint function, mobility, and comfort. Deep cleansing of the joints and tissues helps relieve immediate symptoms of arthritis. The key to preventing a future build-up of impurities is to create a healthier metabolic system — one that can easily and efficiently eliminate harmful toxins from the body. The raw material for building healthy joints and bones is nutrient plasma. Plasma flows throughout the body — like the sap in a tree — delivering vital nutrients to cells. The body uses these nutrients to build tissues, including joint tissue. Our Ayurveda experts will design a customized program specifically for your arthritis condition, including specialized recommendations to continue at home. Ayurvedic experts, Mark Toomey PhD and Vaidya MP Manohar, work in conjunction with Dr. Robert Schneider, MD, to create a customized program to address your arthritis needs. By identifying the source of your arthritis, using Pulse Assessment, an individualized treatment program can be created that will effect significant changes, naturally and holistically. With an emphasis on prevention, and utilizing only natural approaches, The Raj multi-modality program for arthritis removes toxins, nourishes the brain and promotes balanced health. How do The Raj treatments target arthritis? The Raj Arthritis Treatment Program has a high success rate, allowing guests to experience significant relief from symptoms of arthritis. Your daily series of Ayurvedic treatments, knowns as Panchakarma, form the cornerstone of your in-residence treatment program. These classic detoxification therapies help remove the root causes of arthritis by eliminating toxic buildup, improve metabolism, reducing Vata imbalance and providing relief from stress. During an in-residence stay for arthritis, our Ayurveda experts will use the technique Pulse Assessment and other Ayurvedic evaluation tools to determine balance and imbalance in your body’s inner intelligence. People can have arthritis for different reasons and need different programs to heal the condition. Our Ayurvedic experts will not be just matching treatments to the condition of arthritis, but will individualize the program to the specific imbalances that are causing your arthritis condition. This is the value of the initial Ayurveda assessment of your state of balance and imbalance at the start of your program. How do the doshas influence arthritis? Balancing the doshas is an important step in arthritis pain relief. This is because an aggravation of Vata dosha, the organizing principle for the nervous system, is often involved in the development of arthritis. Vata imbalances are associated with pain and sensitivity. Anything that aggravates, or overly activates Vata, will increase the sensitivity and experience of pain in the body. Therefore, an important component in treating arthritic pain is to balance and stabilize Vata. Strengthen the metabolic pathways that prevent circulatory channels to joints from becoming blocked by impurities. Strengthen digestion to create nutritional plasma that is pure and easy to assimilate. Improve the lubrication of joints. Balance nervous system function and its sensitivity to pain. What kind of treatments are used? The traditional detoxification treatments of Ayurveda (called Panchakarma) are the most important and powerful feature of your Maharishi Ayurveda program for arthritis. The daily three-hour treatment program of massage, heat treatment, and mild internal cleansing, is the cornerstone of your in-residence stay at The Raj. The combination of these three treatments received every day (for 5 to 21 days) creates the ideal internal environment for healing joint inflammation. Your Ayurveda Health Consultants will choose specific herbalized oil that is individually prepared for your condition. You will also be instructed in the technique of Ayurveda massage, which includes using specific strokes over joints, ligaments, muscles, and different parts of the body. The motion of massage creates heat and friction that enhance circulation and help cleanse the areas of chemical impurities that could be aggravating and hypersensitizing nerve and joint tissues. The various herbs that have been boiled into a base oil, and the oil itself, are specifically chosen for their Vata balancing influence. The oil allows the herbs to deeply penetrate the tissue beds, thereby balancing tissues in the affected areas. Your home program involves herbalized self-massage for 5-10 minutes in the morning before you take your shower. Daily herbalized oil massage provides a deeply soothing and balancing effect to the entire physiology. During the in-residence portion of your program, highly trained Ayurveda technicians daily perform very specialized massage for you, using oils in which as many as 50 herbs have been cured. These special oils are only available as part of the in-residence program. 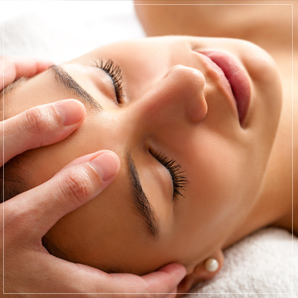 Daily oil massages are a powerful cornerstone of the in-residence cleansing process. During your consultation, the Ayurveda Health Consultants select the appropriate herbal formulas for aiding the healing process, strengthening digestion, and helping the body purify itself of toxins and free radicals. Free radicals are highly irritating to the physiology and their presence creates and worsens many disorders, including arthritis. When appropriate, our Ayurveda Health Consultants recommend Ayurveda herbs that research has shown to be powerful anti-oxidants (1000 times more powerful than vitamin C or E) and free radical scavengers. These herbs can also have a holistic influence of balancing and nourishing the entire physiology. Can Yoga help my condition? Stretching exercise is known to have a positive effect on many chronic conditions. During your in-residence stay at The Raj, we offer Yoga classes to teach you a simple but profound set of postures that can be practiced daily to create a healthy flexibility throughout the body. Our in-residence courses give you knowledge you can continue to apply after you leave The Raj to maintain your progress in alleviating the symptoms of arthritis. How important is diet in treating arthritis? Arthritis can be created by, and aggravated through, improper diet. Some foods can make Vata highly active, thereby increasing sensitivity to pain and aggravating arthritis symptoms. Consultations with The Raj Ayurveda experts, along with daily educational meetings, will help you understand which foods are the most clogging and obstructing to circulation and which are the hardest to digest. These foods have the potential to create toxins (undigested food not only clogs the channels in the body, but actually becomes toxic) and needs to be avoided. You will also learn which foods can easily be digested, creating micronutrients that are then assimilated into the tissues, rebuilding their strength and balance. Just as important as what you eat is how well you digest, metabolize, and eliminate food. Our Ayurveda experts will also provide programs to improve digestion, metabolism and elimination, which will build a strong foundation for your healing process. The Raj cooking classes will provide you with knowledge of how to prepare foods in ways that create maximum nourishment for the body and that prevent incomplete digestion and clogging of circulation. In summary, improper nutrition can create and aggravate arthritis, but proper nutrition can go a long way to curing and preventing it. How can stress affect arthritis? It is well documented that arthritis is often worsened by heightened stress, anxiety, and mental fatigue. There are hormonal changes and other biochemical responses to stress that can aggravate the nervous system and the inflammatory response. The sleep disturbance that is often created by arthritis symptoms increases fatigue, which increases one’s susceptibility to stress, in turn aggravating the arthritis condition (creating a downward spiral). The Raj recommends practice of the Transcendental Meditation® program to remove the stress component of arthritis, pain, and insomnia. Classes in TM are not included in your treatment package. One of the most important factors for balancing Vata and maintaining stability in the nervous system is to have a lifestyle that does not disrupt natural bodily rhythms. When we eat, sleep, and exercise in constantly fluctuating and disturbing patterns, the body loses its natural balancing cycles and cannot cleanse or heal itself as effectively. Therefore, regularity in our daily routine can be extremely effective in reducing the Vata imbalances at the basis of arthritis. Our Ayurveda experts will review your daily routine and provide information you need to create a daily schedule that will actually increase balance in your nervous system and aid in healing your body. Are there any case studies on successful treatment for arthritis? A 17-year-old student had been suffering from rheumatoid arthritis since the age of nine, with pain and stiffness in the shoulders, elbows, knees, wrists, hands and ankles. She came to the chronic disorders program at The Raj Ayurveda Health Spa, twice, each time for a three-week stay. The severity of the arthritis fluctuated and migrated from joint to joint and the fluctuations were often correlated with stress. The joints appeared swollen, warm, red and tender. She was dependent on steroids, and tapering this medication caused a rebound of pain. During the six months before her first visit to The Raj, she had difficulty with the simple daily activities of being a student, and had to stop all physical activities. She required several hours every morning after awakening, usually spent in hot baths, until the stiffness resolved enough to start her day. She began an in-residence chronic disorders program in July 1997, during which the response was dramatic. Within several days, the pain and stiffness had begun to decrease and by the time she left The Raj, she was pain-free as well as on a reduced dose of steroids. When she returned to her intense academic boarding school environment several weeks later she felt well, but with the stresses of her school work, including irregular hours, late nights and institutional meals, her arthritis subsequently flared. She was started on anti-inflammatory medicines, anti-depressants, muscle relaxants and sleeping pills. Feeling drugged on so many medications, she requested to return to The Raj. The treatment was repeated in November 1997 with similarly impressive results and, within one week, she was off all her medications except the steroids. She continues to follow an out-patient follow-up program, and is back in school free of pain and stiffness. My aches and pain are gone—knee pains I have been dealing with for two years! I am surprised to be pain-free of my arthritis on the third day of treatment. After a week of treatment my body became a vessel full of bliss. My body is no longer in pain with bursitis and arthritis, and my insomnia is less severe, much better. I feel I have been given tools to be better spiritually, mentally, and physically. I came for my arthritis, and feel 50% improved. I am no longer taking prescription meds, only over-the-counter. My 11 days of treatment also increased my mental clarity and my sense of wellbeing. Over several visits my joints have become increasingly more comfortable and flexible. I’ve had wonderful learning experiences as well as a blissful experience.